Mention the Daddo surname and it regularly receives a warm welcome around Australia. Andrew Daddo has been constant talent on television, stage and film for more than a decade. Also adding writer and accomplished author to the list with over 18 books to his name and regular column in the Sunday Herald. If you ask Andrew about himself he might tell you he is a fisherman (hopeless), golfer (woeful) and Chef (getting better)! If you ask Ovations we know it's his combination of media experience, diversity and humor that has made Andrew the MC, speaker and trainer of choice for a variety of clients. Andrew has the ability to warmly articulate messages and host any event with professional ease. People often comment on Andrews's uncanny ability to read an audience and think fast on his feet. He is quick witted and definitely has the ability to connect with everyone. It's his down to earth demeanour people identify with immediately, whether it's on the stage or off. All this makes Andrew refreshing, enjoyable and uncomplicated to work with. As a keynote speaker the above certainly applies. Andrew generously shares what he has learnt about communication during his vast media career. He teaches how we can be masters of our own communication to positively impact our relationships, performance and results. As a freelance professional Andrew is readily available and flexible with his schedule to accommodate your breakfast, lunch, evening, full and multi day events. Team Ovations have worked with Andrew closely on client events and invited Andrew to host our own Showcase events (to fantastic client reviews and ratings). Please contact the team at Ovations anytime they would be happy to check Andrews's availability for your event. The ability to connect with and build relationships with people is the key to great success. Often we can have great ideas or know what we want to say but we don't have the right skills to connect, engage and influence other people satisfactorily. Both internal and external clients quickly gain perceptions of us through our personal presentation. To be able to successfully influence those clients we need to therefore understand how we come across and learn to gain greater control of our communication behaviours. Be more versatile in tailoring their message to different people. This will be customized according to your key objectives, but listed below are some of the modules. Thank you for doing another outstanding job with our event. You did a fantastic job as always with the formalities, keeping some humour in the need to keep the team quiet. You were always professional and engaging and it is a pleasure to work with you every year. I look forward to working with you again next year! I was privileged to watch Andrew Daddo in action as MC of the Australasian Residential Property Managers convention in Sydney. As an MC, Andrew's style is lively and witty and and he possesses an uncanny ability to read the mood of the room and adjust his delivery accordingly. He makes clever use of relevant personal anecdotes that keep the audience engaged and amused and researches the speakers he's about to present in a thorough and professional manner. I have no hesitation in recommending Andrew as a keynote speaker or event MC. 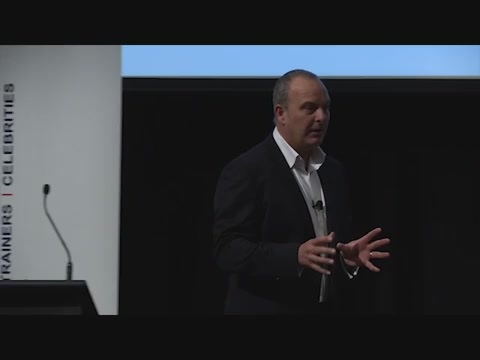 I recently engaged Andrew Daddo as the Conference MC for a Group of Australian Financial Planners for a 5 day event overseas. My brief was to find a professional MC the delegates would be able to recognise and warm to. Someone with a good sense of humour, a likeable personality, an ability to adjust to situations on the spot without having to be given a script and someone who loved to mingle with the audience throughout the event. The person we were looking for had to be able to gain the trust and respect of the audience during the first couple of minutes on stage. Andrew was the perfect choice. It is obvious Andrew enjoys working as an MC. Whilst he can portray a casual approach, donÃ¢Â€Â™t let this fool you. He is extremely professional, dedicated and seems to have the ability to tap into his "acting experience" whenever required. He doesn't leave anything to chance, is very versatile, doesn't shy away from providing suggestions whenever he feels these might be of benefit to the client, above all is a very funny man and very importantly is easy to work with. It has been such a pleasure and privilege to work with Andrew that my client has already booked him for 2014. It is for these reasons I can highly recommend Andrew Daddo to anyone and for any type of event.